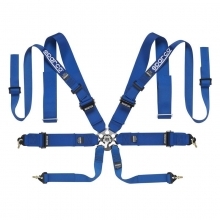 Sparco's 8 point FIA Hans Double Shoulder Racing Harness for extra safety to decrease the load felt on the driver and through their Hans device. 8 Point, Hans/NecksGen shoulders, 3" pull-up waist belts and 2" T-bar sub belt. 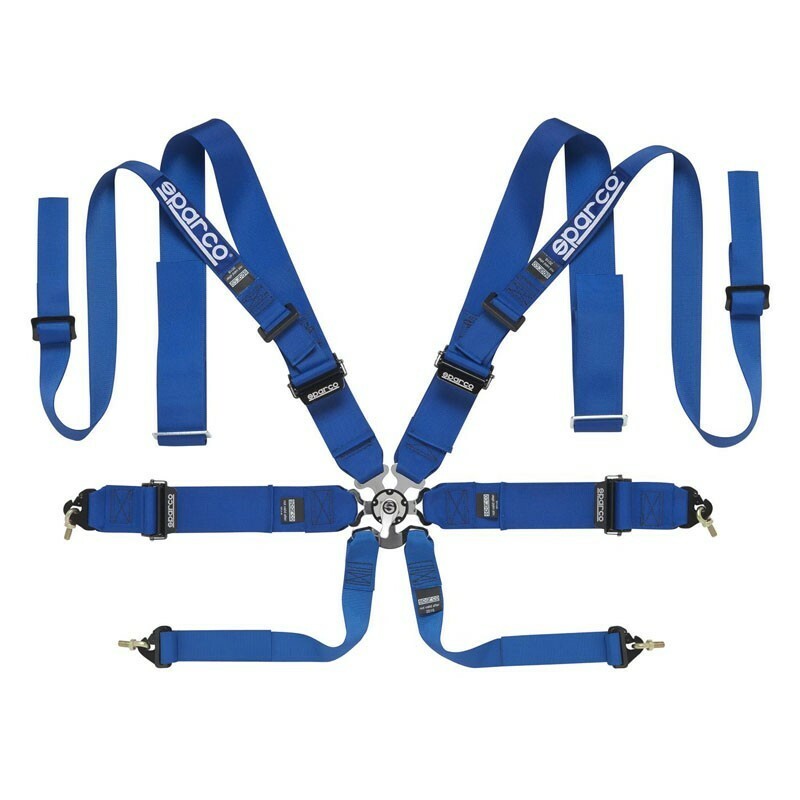 8-point Hans-compatible harness features a robust 3-inch driver’s brace and a 2-inch collar brace for improved coupling with the collar surface. This design can be integrated with a Hans device and attaches to the rear roll bar particularly well. 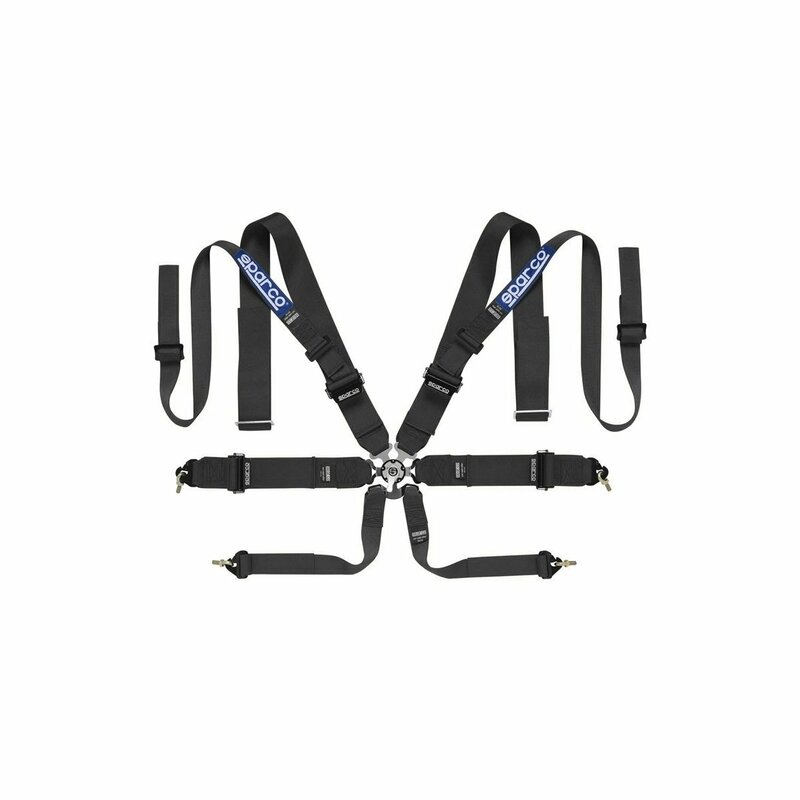 Each strap attaches in the center using an aircraft-quality quick-release buckle with a satin-finish aluminum cover. Each belt attaches to the frame using snap-on fixings. 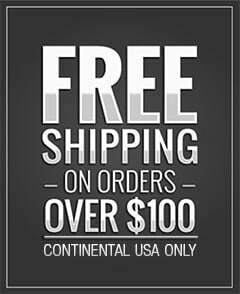 Available three colors: black, blue and red. This harness is FIA approved.